Are you stressed and worried about how to sell your house quickly in Springfield? Are you you looking for and easy way to sell without any hassle? In this article you’ll discover some things you can do to sell your Springfield house quickly. So, if you’re looking to sell your Springfield house fast … check out some of our great tips below in this short informational article. So if your house isn’t on the internet… how are buyers going to find out about your house? There are lots of ways to market your Springfield house online. You can list it on websites like Zillow, redfin, Craigslist… or even setup your own website for your house. Owners.com is a great source to list your property online too. One of the best ways to sell a house is through word of mouth. Tell all of your friends and family that you’re selling… and have them tell everyone they know. Post pictures of your house and let the world know that its for sale. Also, hop on your Facebook account and share the property listing from the various sites we mentioned above. You can share these links with your friends and ask them to spread the word too. You never know who’s looking or who might be interested. There may be a person you just falls in love with your house. Besides, you may also get a friend who may link you up with a buyer. The importance of using Facebook over other social networks is that it is free. Persistence is key…keep posting daily. You can even consider running an ad on Facebook to get even more local targeted engagement. We buy houses in and around Springfield, and can close quickly. If you want to sell your house in the Springfield area and are curious on how the process works… and want to see what we can pay you for your house… you can get started a couple different ways. 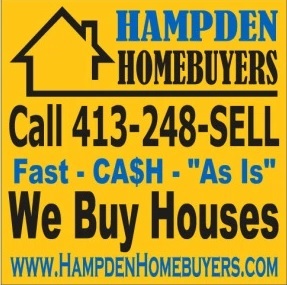 Give us a call today at 413- 248-SELL (7355): We’ll ask a few basic questions about your house… and within 24 hours we’ll make you an offer on your house. No Obligation at all. If the price works for you. Great! We can close on your timeline… in as little as 7 days. No commissions. No Fees. Just a simple and hassle free transaction. Just fill out this sell my house form with your basic house info: We’ll evaluate your home and call you with a formal offer on your house in less than 24 hours. Western Massachusetts area home owners work with us for many reasons including convenience, speed and less hassle than the traditional “list it with an agent” route. For more information on how you can sell your house quickly for cash in Springfield, call us today at 413-248-SELL (7355) and one of our local representatives will assist you with a cash offer at hand or you can simply fill out our online form and we shall get back to you promptly. Great articles! I think for selling houses quickly we need to choose a cash buyer who can buy houses quickly in any condition. I think any Springfield home owner will be benefited from your articles to sell houses within short time.